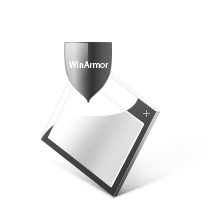 WinArmor is Copyright WinQuota LLC. You must treat the Software like any other copyrighted material. TO THE EXTENT NOT PROHIBITED BY APPLICABLE LAW, WinArmor'S AGGREGATE LIABILITY TO LICENSEE OR TO ANY THIRD PARTY FOR CLAIMS RELATING TO THIS AGREEMENT, WHETHER FOR BREACH OR IN TORT, WILL BE LIMITED TO THE FEES PAID BY LICENSEE FOR SOFTWARE WHICH IS THE SUBJECT MATTER OF THE CLAIMS. IN NO EVENT WILL WinArmor BE LIABLE FOR ANY INDIRECT, PUNITIVE, SPECIAL, INCIDENTAL OR CONSEQUENTIAL DAMAGE IN CONNECTION WITH OR ARISING OUT OF THIS AGREEMENT (INCLUDING LOSS OF BUSINESS, REVENUE, PROFITS, USE, DATA OR OTHER ECONOMIC ADVANTAGE), HOWEVER IT ARISES, WHETHER FOR BREACH OR IN TORT, EVEN IF WinArmor HAS BEEN PREVIOUSLY ADVISED OF THE POSSIBILITY OF SUCH DAMAGE. LIABILITY FOR DAMAGES WILL BE LIMITED AND EXCLUDED, EVEN IF ANY EXCLUSIVE REMEDY PROVIDED FOR IN THIS AGREEMENT FAILS OF ITS ESSENTIAL PURPOSE.